Ben Askren is close to booking his Octagon debut against former welterweight champion Robbie Lawler at UFC 233 in Anaheim, Calif. on Jan. 26. Sources close to the contest confirmed the news on Monday following an initial report from ESPN quoting UFC president Dana White. Verbal agreements are in place for the fight, although contracts have not been signed and returned at this time. Askren teased the possibility of fighting Lawler over the weekend at UFC 230 in New York after he met with the promotion for the first time after joining the UFC following a blockbuster trade that sent former flyweight champion Demetrious Johnson to ONE Championship. 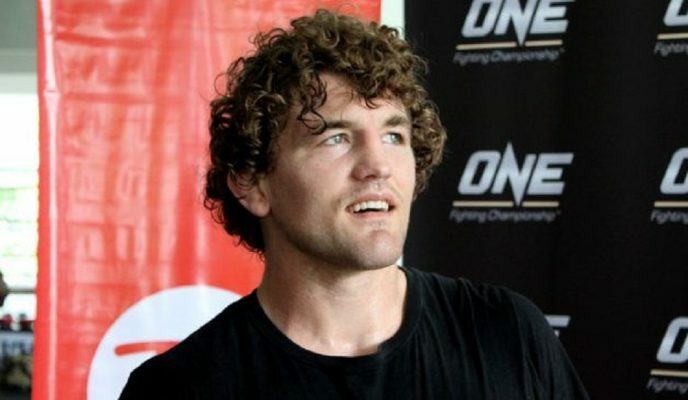 Askren is a former Bellator and ONE welterweight champion with an undefeated record as well as a two-time NCAA Division I national champion wrestler as well as a 2008 Olympic wrestler where he was on the same team as current UFC champions Daniel Cormier and Henry Cejudo. As for Lawler, the former welterweight champ will look to bounce back from a loss in his last fight when he fell to Rafael dos Anjos while also suffering a torn ACL in his knee early in the fight. Lawler took off 2018 to recover from surgery and now he’ll look to climb back into the title hunt with a fight against Askren to start 2019.